Re-branded as Interaction Production Server, this integrated lighting control system allows rapid prototyping of new interactions for live production environments. By providing an abstract layer to the specific hardware of the lighting rig, IPS allows rapid development and prototyping of new forms of interaction with the lighting rig. 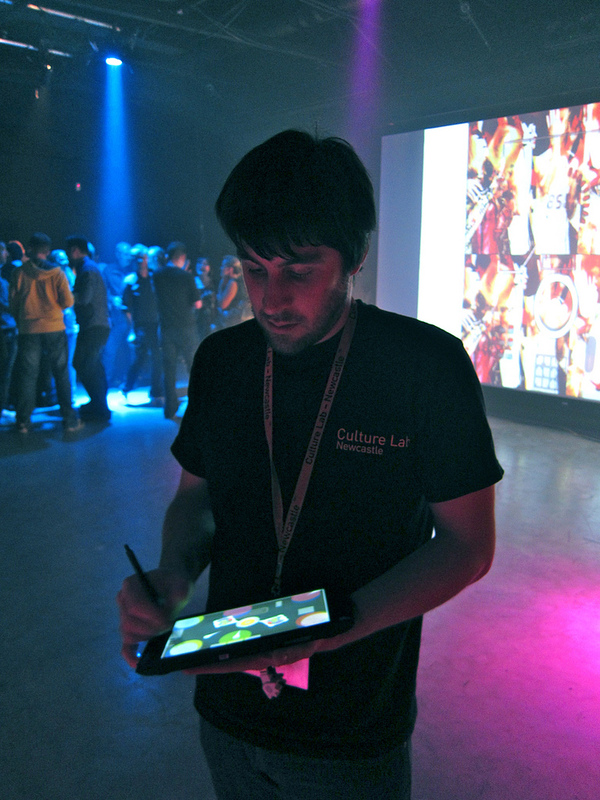 Based on a central server which holds a representation of the venue, many different types of devices can connect, including Surface, Android phones and Win7 tablets. These devices can each present a unique experience to the user, whether it be finger painting, a riggers remote for on ladders, or a complete cue stack for a large show.